I can bring enthusiasm and energy to any sort of event. Whether you are throwing a birthday party or hosting a fine dinner, I can match my style and vibe to whatever mood you would like to set. 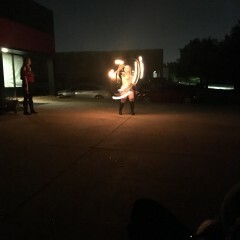 My skill sets includes single and double hooping as well as fire breathing. Let me help you bring your event to life! Very professional and timely. We had a wonderful show for the kids and adults too. Like the other reviews say, she has a great personality and is always smiling. I would highly recommend. Thank you so much, Anh! I'm glad you and your guests enjoyed it! 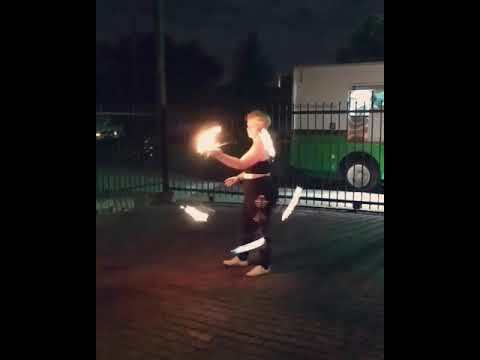 Missy is an awesome hooper and fire performer who always has a smile on her face! Her costuming/makeup is beautiful, and she is very enjoyable to watch perform. I've seen her at several events around town, and each time she has something new in store!! Thank you Tina! Those are big compliments coming from you! She was amazing! Daring, exciting and so much fun to watch. Very personable, our group loved her very much. The fire-breathing was crazy exhilarating, looks very dangerous, she is passionate about putting on a great show. We will definitely have her back for our next appreciation party. Thank you so much, Mark! It was an honor to perform for your company! I'm so very happy you all enjoyed it! 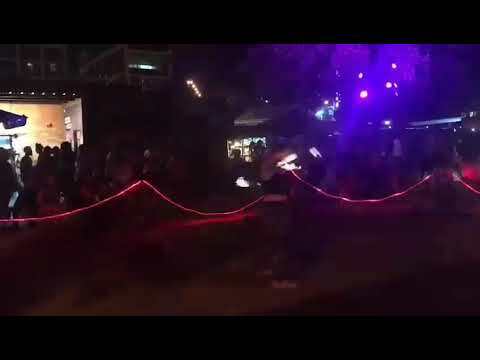 My performance will bring color and vibrance to your event or party. I have a variety of outfits and props that can be used to tailor my performance to your event needs or your guest desires. 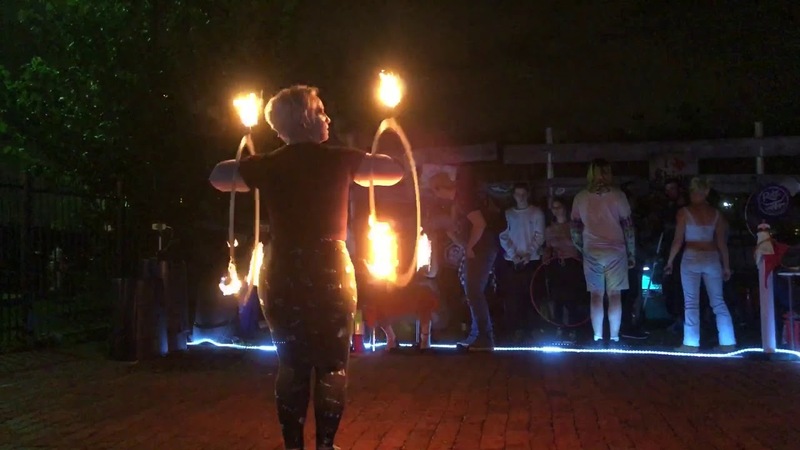 My fire hooping will dazzle young and old alike, and my LED and day hoops will make their heads spin. Contact me today to start customizing my performance to your preference. 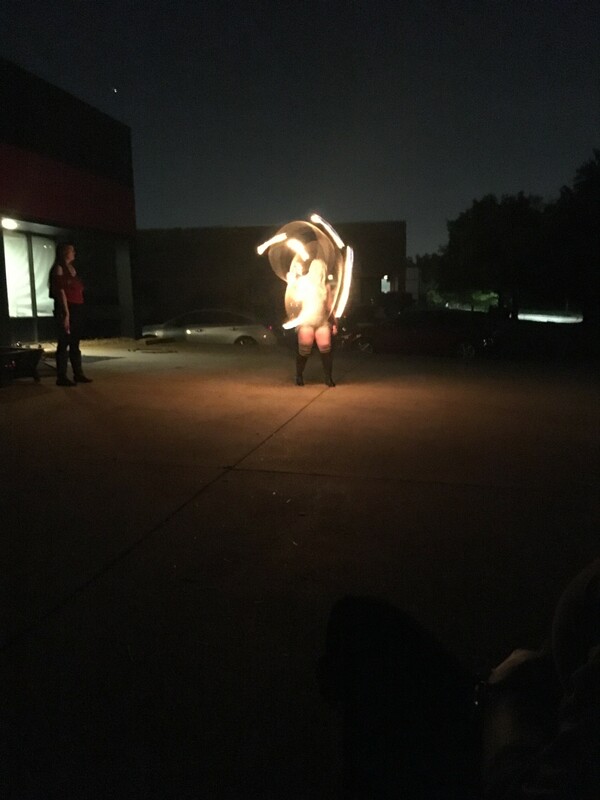 I'm Missy McMullen, better known by my stage name, Miss Hoopaholic, and I'm a fire performer from Fort Worth, TX. I have been performing for the past year at events, gigs, and private parties throughout the DFW area. 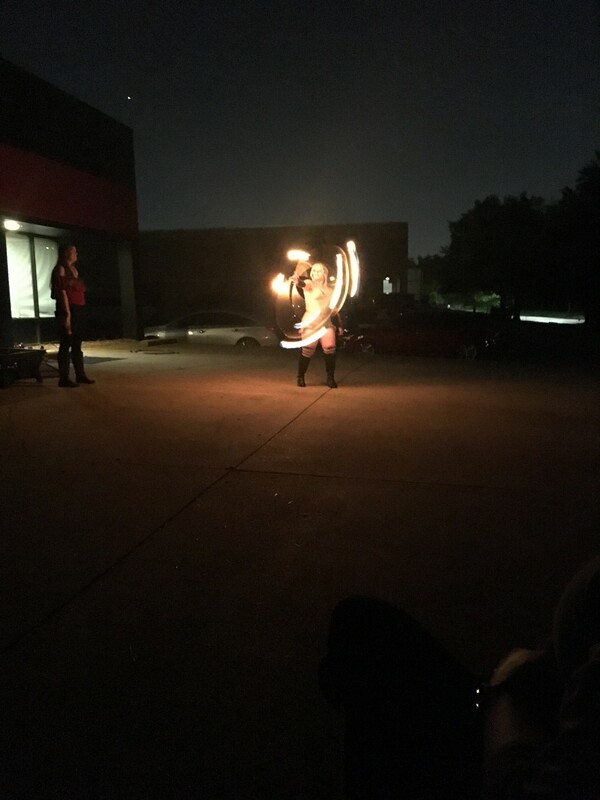 My favorite props are my fire hoops and my fire breathing torch. 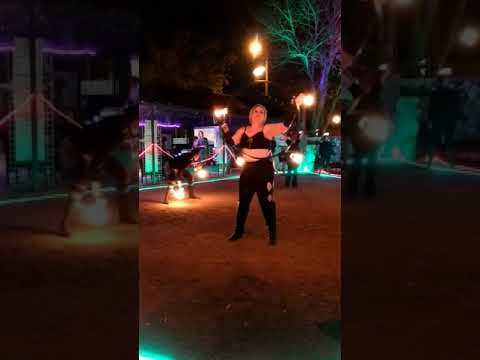 I also perform with LED hoops, and my personal favorite is double hooping with either LED or fire. 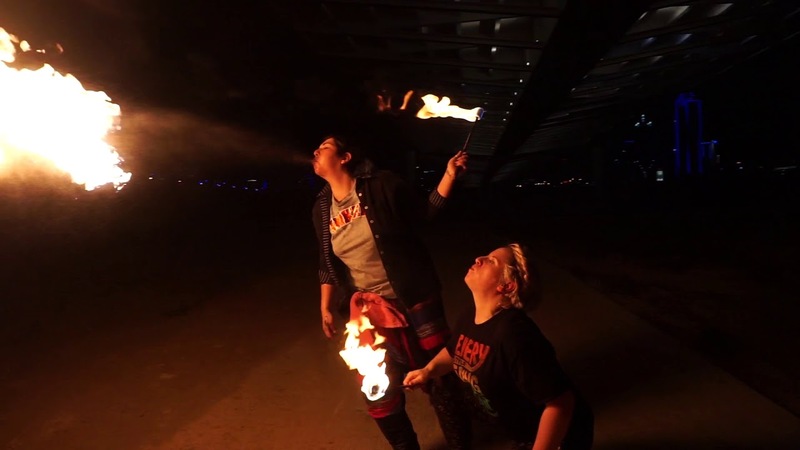 I began fire breathing in July of 2018, and have quickly become a regular at all the fire breathing performances I can get my hands on. I'll be sure to wow you with all kinds of daring stunts and acrobatics. In my "adulting" time, I'm a structural engineer, cat mom, and all around nerd. I do not provide lighting, music, or sound for my performances. I provide my own fuel and all safety/extinguishing materials. I will need a 10'x10' minimum area, with a separate place away from the performance area for fueling.